Hungary is divided into regions: Northern Transdanubia, the Northern Highlands, the Great Plain, southern Transdanubia, and the bits around Budapest. The entire country is just under 36,000 square miles (approximately 167 miles North to South and 328 miles East to West). For comparison, the state of Ohio is just over 41,000 square miles (approximately 230 miles North to South and 210 miles East to West). This should give you a better idea of why it’s possible to travel around the country quite easily to visit these small towns and villages. 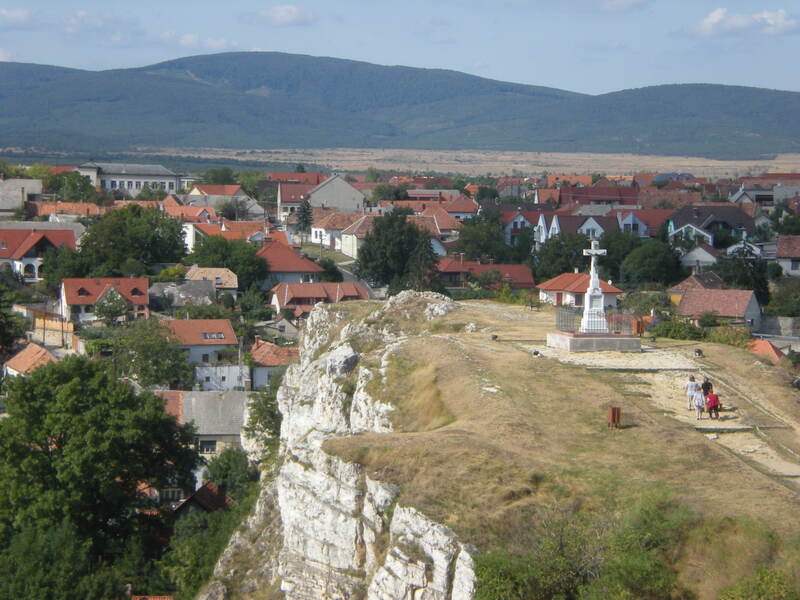 This weekend I went to Veszprém, which is one of Hungary’s oldest towns, close to Hungary’s “ocean”—Lake Balaton. 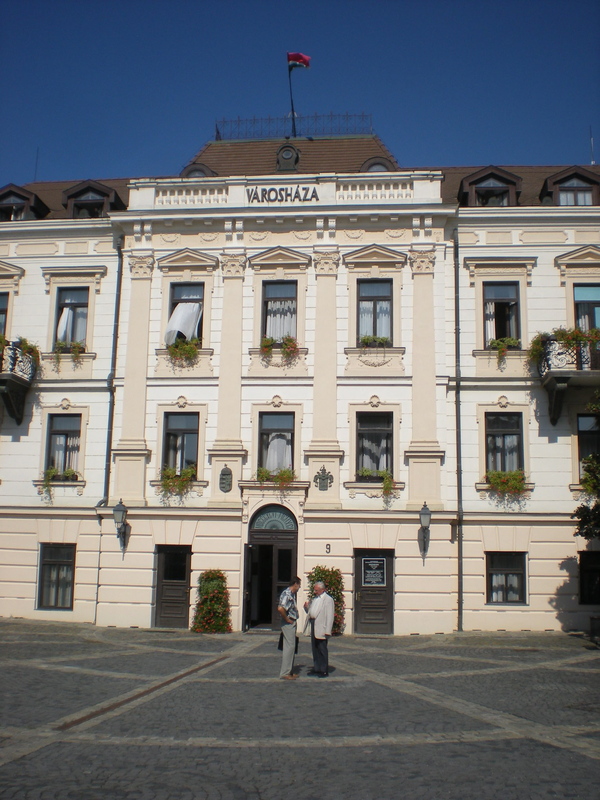 It is a historical and ecclesiastical seat of Hungary and (I do not get this trend) proud home to a glass-enthroned bone of Queen Gizella (first Queen of Hungary) and wife of (István) Stephen. The feel is certainly historical, but even more religious than the other towns I’ve visited. 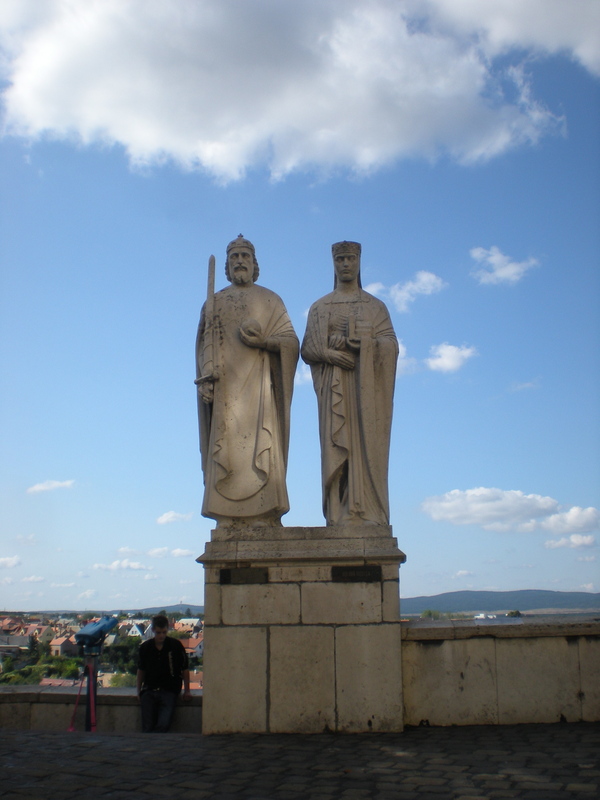 In his struggle to Christianize Hungary, King István set Veszprém as the country’s first bishopric, and it has remained (for over a millennia now) symbolic of early Christianity. The town is a must for any student of art and architecture, especially because of the incongruent feel that only occurs in a place that has hung around for so many centuries. 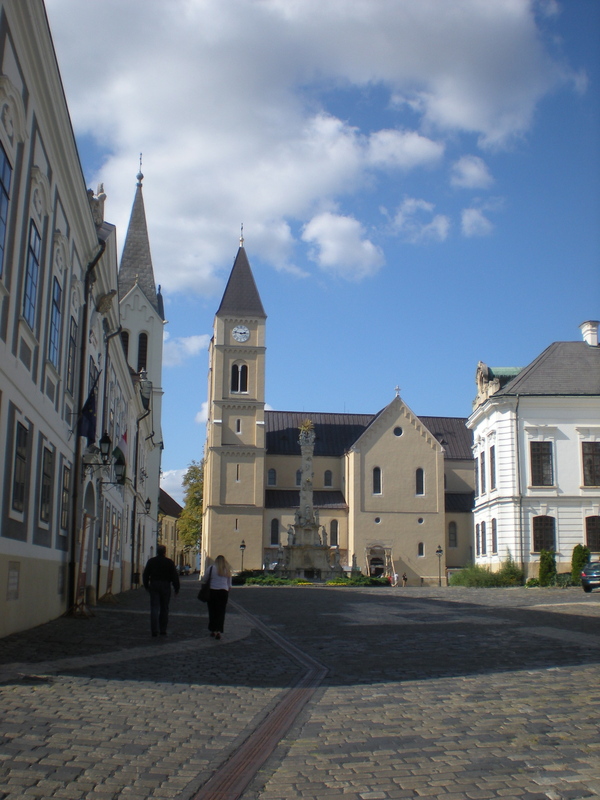 In the castle district alone, you can move from the Gothic St. Michael’s Cathedral to the Baroque Archbishop’s Palace to the Petőfi Theater, which is late-Secession. 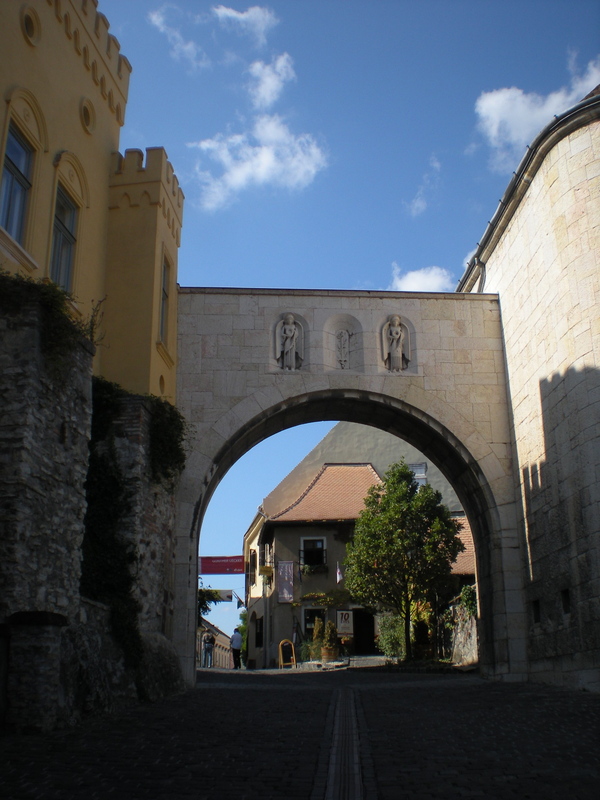 The castle gate emulates medieval (probably a 9th century Frankish fortress), though it is a replica (built in 1938), and the Town Hall is Neo-Classical. 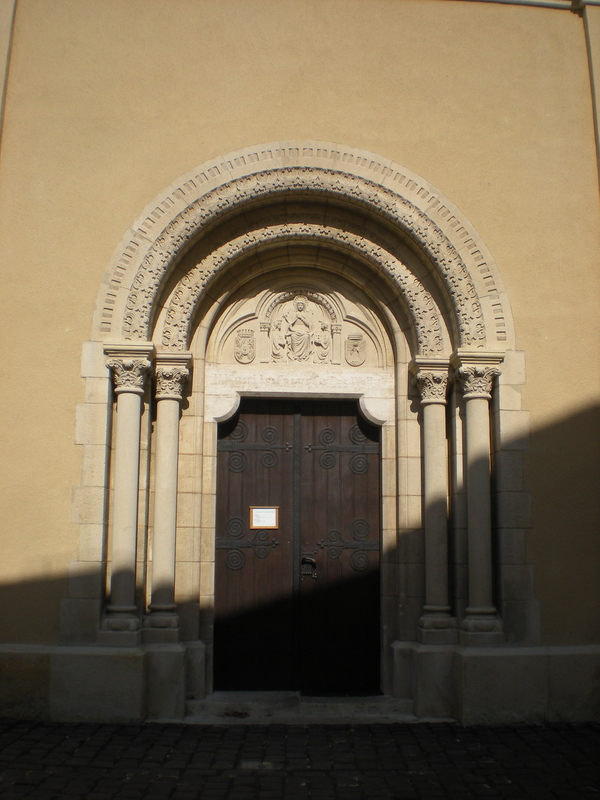 There is Hungarian, Latin, and Greek etchings on walls, buildings, plaques, and monuments. The light is elegant here. More fresco than fresh. And yet the town is a town, like any other. 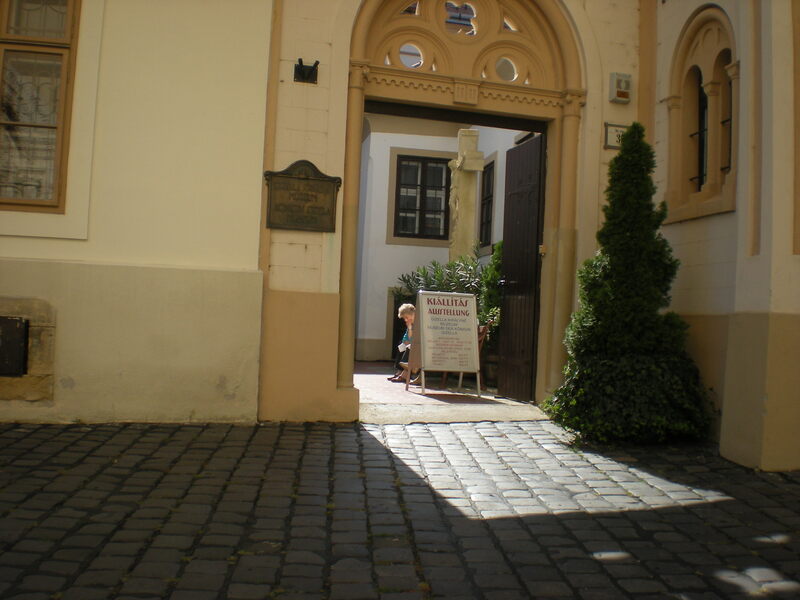 The young men in the seminary wait outside with cigarettes for the pizza delivery, which rumbled up the cobblestones. 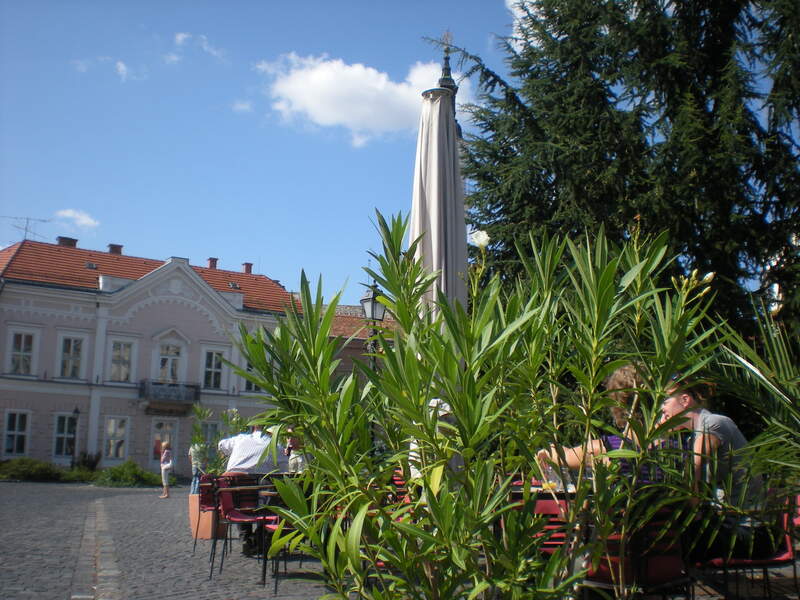 And by 3pm, the cafes start to fill with young business colleagues and college students enjoying a kicsi sör (small beer) or a glass of wine and a bowl of soup in the open-air patios. German tourists click away at the statue of the Bavarian Queen and young boys play with their dogs at the ruins of the monostary. And as usual, geranium and ivy windows open to the air, curtains aloft with wind. It really is a “the city of Queens.” Gentle. Unlike my neighborhood, the slightly more famous Castle District of Buda, there weren’t any tour busses, nor guides holding sticks with group numbers high into the air. While it’s true that Magyars are historically moody people, they’ve been caught (for over a thousand years) between the forces of the far east and far west—arguably more so than any other state in central or eastern Europe. And while happiness is a relative term, these little towns are really peaceful. Maybe it has something to do with a place, like the people, sticking around for so many centuries—being razed and ruined and built back up again. People go on living, working, visiting with neighbors, creating art, going to church, to the markets. People take their time, with the town and with each other. There’s something really admirable about that.